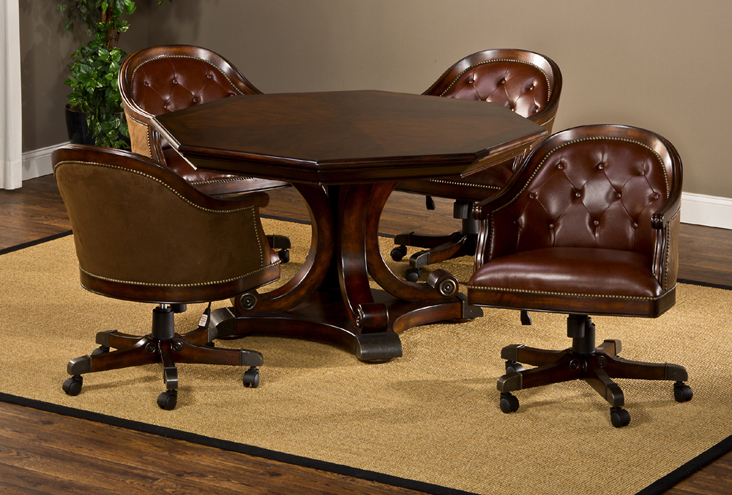 The Harding game or dining room by Hillsdale Furniture is a distinguished addition to any home. The set displays many fine features found in collections costing twice the price. The rich burnished cherry finish has a lightly distressed, warm, glowing appeal. This collection is as practical as it is handsome. All of these great features make this one gamble that is a sure thing.